Internationally acclaimed Chinese film-maker Chen Kaige (Palme d’Or 1993 for Farewell My Concubine) delivers an opulent staging of the fairy-tale story of Chinese Princess Turandot, who will only marry a prince capable of solving her riddles. With sumptuous costumes and palace sets designed in China, Kaige’s production adds a compellingly authentic accent to Puccini’s exotic orchestral palette. 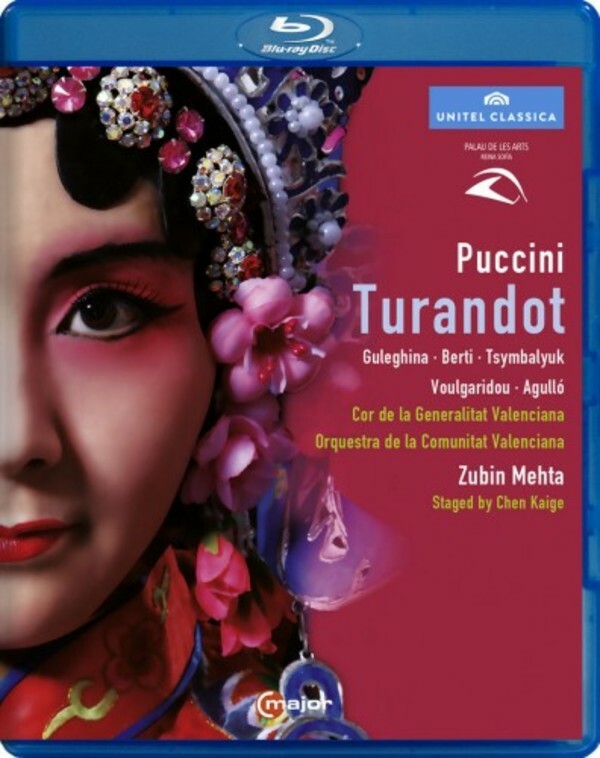 Zubin Mehta and his brilliant Orquestra de la Comunitat Valenciana offer “genuine fireworks of sound” (Wiener Zeitung), Maria Guleghina triumphs as Turandot.